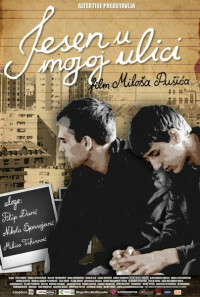 The main story is about two twenty year old guys who spend day in a remote suburb of Novi Sad. The are gathering money to go to seaside for the very first time since they finished primary school. Despite all the signs that this will be just another autumn day, on this trip they will experience the moment that will change their lives forever. Regions are unavailable for this movie. Click the "Watch on Netflix" button to find out if Autumn in My Street is playing in your country.